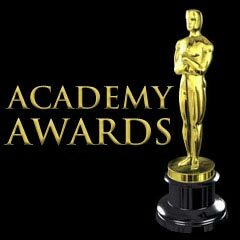 This morning was the most important morning of the awards season, the 87th annual Academy Awards nominations. The Academy race kicked off with the Academy announcing its nominations for 2015. It’s a long list of stuff, so I’ll keep to ones that are most interesting: Best Picture, Best Director, Best Actor, Best Actress, Best Actress in a Supporting Role, Best Actor in Supporting Role. Race wise: 20 actors nominated, not one person of color. Not ONE. Let that marinate. And they really had no excuse this past year with an amazing performance by David Oyelowo to say the least. My reaction: The Academy used to nominate 5 movies for Best Picture, then went up to 10 movies nominated then they went down to 8 pictures nominated. So that’s interesting. Everything fit from what’s been on the Awards Season rounds except for American Sniper. So I don’t know if that’s the patriotic pick like “Extremely Loud & Incredibly Close” which was a pic around the events of 9/11 but was a film while good wasn’t pushed super hard for awards season, but clearly played at the strings of the Academy members. My reaction: Where the HELL is Ava DuVernay?! I was expecting her to get a nomination for directing ‘Selma’. Certainly the Golden Globes got it right when it came to nominating her. I still don’t get an Academy that nominates a movie for Best Picture and then does not nominate the Director. Someone had to direct it to make it a Best Picture right? Pardon me using logic though. Miller for ‘Foxcatcher’ was surprising, if not just for the fact that ‘Foxcatcher’ wasn’t nominated for Best Picture but also because outside of Carell and Ruffalo’s performances it wasn’t that outstanding a movie. My reaction: David Oyelowo was ROBBED. R-O-B-B-E-D. Shakespearan trained British-Nigerian actor, who transformed himself into a very human portrayal (the most human to date) of a southern preacher named Martin Luther King Jr in ‘Selma’. And then….Bradley Cooper for ‘American Sniper’?? Really? Again this movie got next to no love from Golden Globes and Cooper’s performance hasn’t been on the award circuit buzz on the same level that his fellow actors who are nominated have been. My reaction: Rosamund Pike in Gone Girl? I hadn’t prioritized seeing the movie but I was a bit surprised given how much awards buzz Pike’s fellow actresses received in comparison to her performance. Marion Cotillard was a pleasant surprise. While Two Days & One Night is a foreign film, Cotillard does a wonderful job playing a character struggling with anxiety and depression in the face of economic trouble. My reaction: Nothing surprising here. Identical nominations to the Golden Globes and all of their perfomances received awards buzz, I have partiality to Mark Ruffalo if anything, but that’s without having seen all the others.